A wide median separates the roadways of Interstate 24 as it travels across northern reaches of Clarksville. This scene looks east from the Tennessee 48 (Trenton Road) overpass at Exit 1. Photo taken November 7, 2011. Angling southeast across central Tennessee, Interstate 24 links the cities of Clarksville, Nashville, Murfreesboro and Chattanooga. 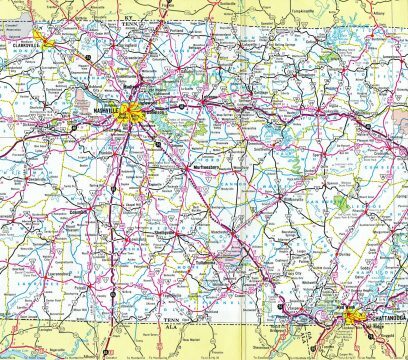 The freeway totals 180 miles through the Volunteer State, with a 4.10-mile gap around Raccoon Mountain through Dade County, Georgia. Overlaps also take the route along side I-65 and I-40 through Nashville. 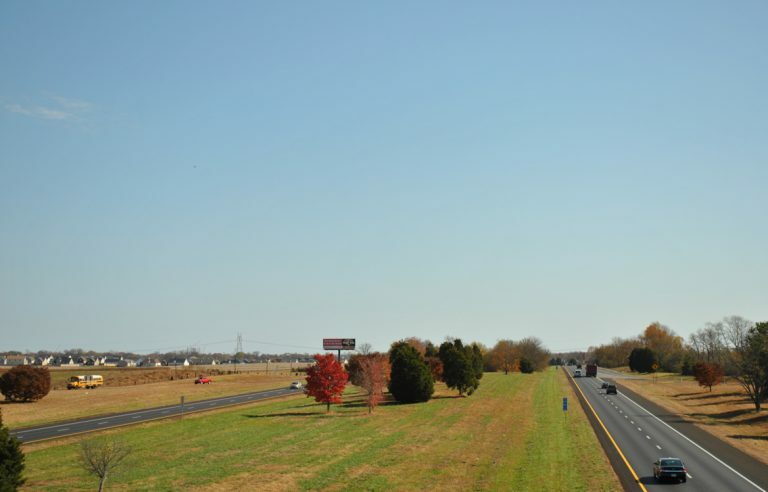 Growth of the Nashville area preceded expansion of I-24 to at least six overall lanes from SR 155 (Briley Parkway / Exit 43) south to U.S. 231 (Exit 81) at Murfreesboro. 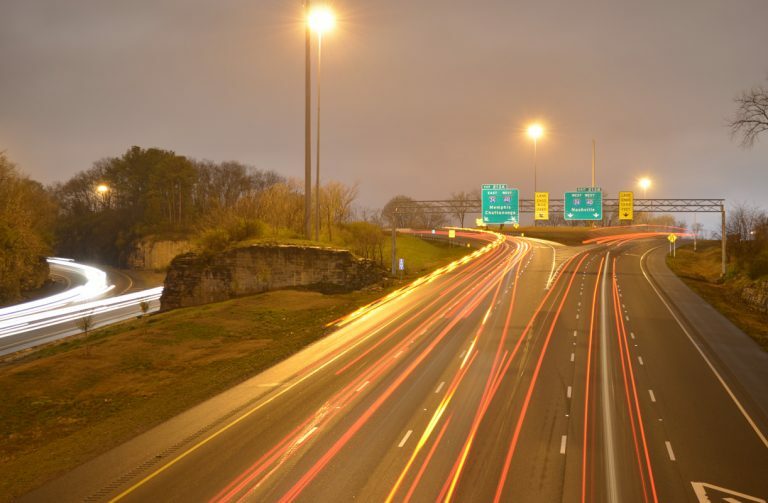 The freeway also widens to at least six lanes from the c/d roadway system with I-124 and U.S. 27 at the "Big Scramble Interchange" in Chattanooga east to Interstate 75. Several portions of Interstate 24 were open to traffic between Nashville and Chattanooga per the 1970 Tennessee Official Highway Map. The route northwest from the split with I-65 in Nashville was incomplete. Amid limestone outcrops, a three-wye interchange joins Interstates 24 & 40 in southeast Nashville. Photo taken April 4, 2013. "Facts About Tennessee&apos;s Interstate System 50th Anniversary, 1956-2006," Tennessee Department of Transportation, 2006 web site. "Tennessee Interstate Highways Map," Department of Highways, 1960.